Habitat Farm area, fruit garden, roadside, vacancy, grassland, etc. Route Deliberate: As ingredient of alcohol and inulin, for cattle food, as ornamental plant, etc. Impact Actually: Competition with native grasses and crops. 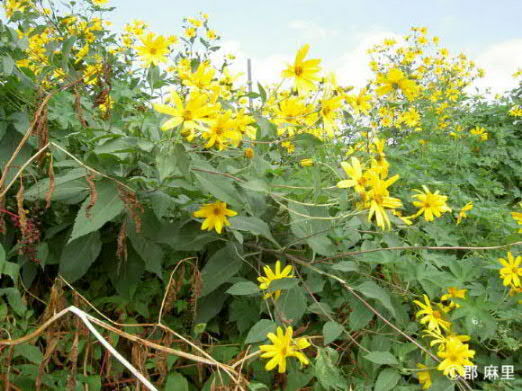 Affected organism: Native plants (especially riverside species), crops.